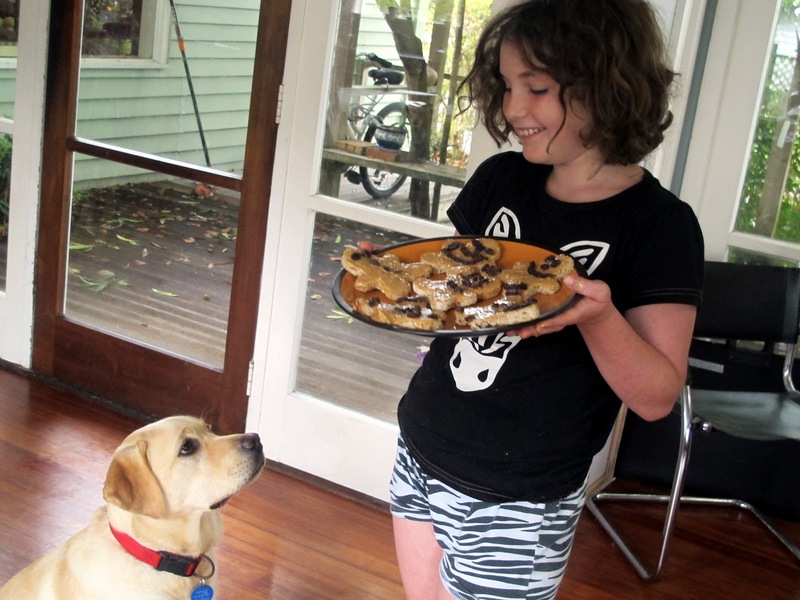 It's the school holidays, time for young cooks to have some fun in the kitchen. and as Emily, Becky and Susie are staying with us this was a good time for them to try these two recipes. Two loved these iceblocks, one wasn't so keen. Becky has a sweet tooth and had we laced them with some honey I think she would have fallen for them as well. Everyone liked the ambrosia, especially as Emily added some more mini marshmallows than the recipe I had created for her to try. She's 7 and can cut grapes easily with a not too sharp knife and use a measuring cup and spoons but using an electric beater to whip the cream was a little scary, so we did it together. Vegelife has no refined sugar or artificial sweeteners, no preservatives and no added colours or flavours. And it contains a wide spectrum of polyphenols and antioxidants including Vitamins A & C. For kids who hate eating veggies it is a great way to add some vegetable goodness to their diets. 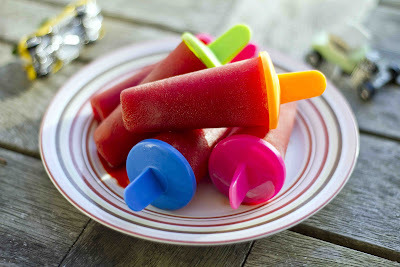 To make these ice blocks we simply diluted 1 part of Vegelife to 3.5 parts of water. Then poured it into ice block moulds to freeze. For dessert we made our version of Ambrosia (the food of the Gods in ancient Greece). This was a little more decadent but easy and fun to make. Stirring in a little Vegelife turned it a deliciously delicate pink. We made it with grapes, but next time they can be creative and design their personal version by substituting their favourite fruit or some desiccated coconut. If the Vegelife has run out a fruit flavoured yoghurt would be fine as well. 1/2 cup each of seedless red and green grapes. 1/2 cup of baby marshmallows. Spoon into long-stemmed glasses or small bowls. Leave in the fridge for a couple of hours before serving. Emily who is seven loved making these gummy little sweets for a holiday treat. They are easy to do but you do need to allow time for setting. She poured the jelly into a ceramic dish and waited until it was set before using tiny metal cookie cutters to cut out the shapes. I was sent some Barker's Apricot Blush to play with and we have had fun creating some new recipes with it. Its main ingredient is Central Otago Apricots but it also includes pineapple, lime and a dash of blackcurrent juice. It's a good source of vitamin C and has no artifical preservatives, colours or flavours so compared with shop bought these kittle gummy sweets are healthier. 2/3 cup of Barker's Apricot Blush Fruit Syrup. Leave it for a minute or two until it has thickened. 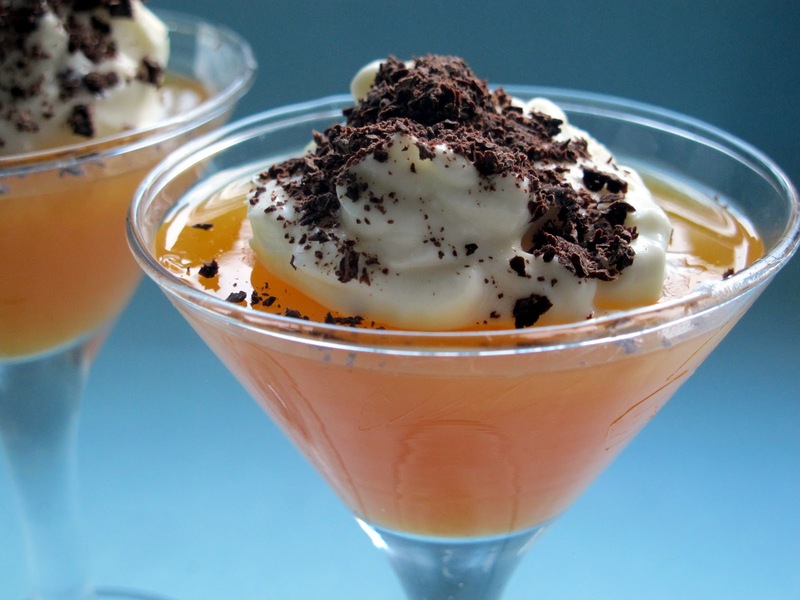 Pour 3/4 cup of Barker's Apricot Blush into a saucepan and add the gelatine. Keep stirring as you heat it until the gelatin has completely dissolved. Pour into a 20 cm by 14 cm ceramic dish which has been rinsed in cold water . Leave to set for about 3 hours in the fridge until very firm. 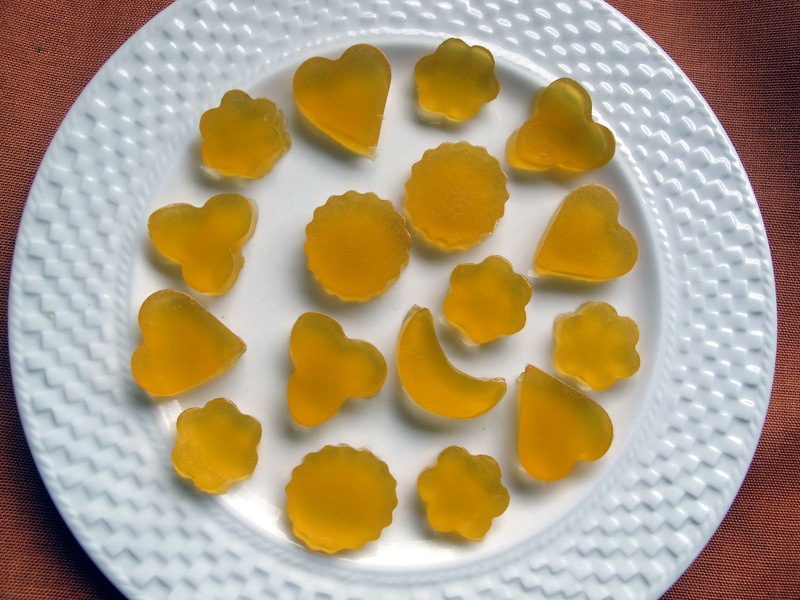 Use small cutters to cut out the apricot jellies. Any left over pieces can be chopped into small cubes and layered with icecream and fruit salad for a kid friendly dessert. The school holidays have got off to a good start. Last night we went to the Pumphouse for a preview of Tim Bray's adaptation of A Dragon of an Ordinary Family by Margaret Mahy. Her magical story was transformed into a play which kept us in fits of laughter. 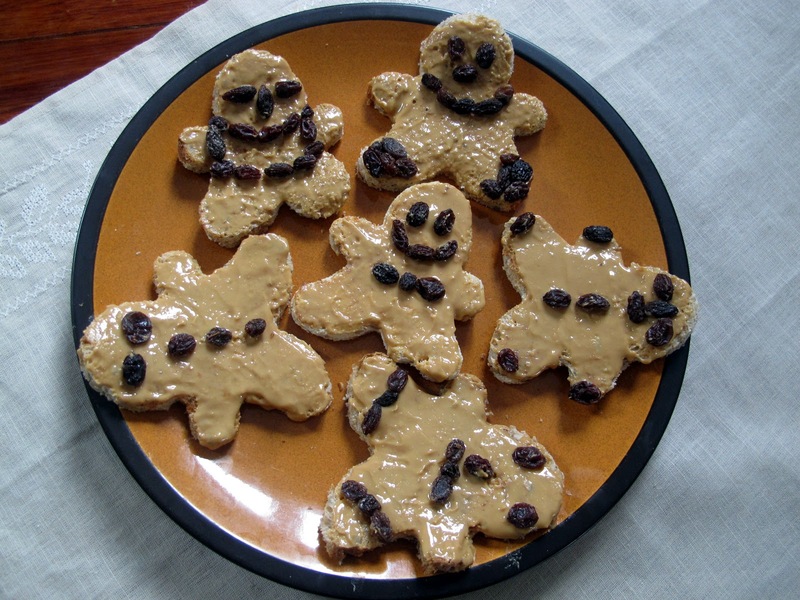 This morning Becky is being creative and making peanut butter people out of wholemeal toast, Ceres Organic Peanut butter (with no added salt) and a few raisins. So perfectly healthy! She toasted the bread and used a large gingerbread man cutter to then cut them out. Abby our lab has got her eyes on them, and is sittng down in anticipation of a treat but unfortunately for her these are people not doggie treats.Now had she been a dragon she would probably have got away with it. Off to Milford beach now to let her have a play before the forecasted heavy rain starts to pelt down. Can Food Bloggers be Trusted? Before breakfast this morning I checked my Food Blog. And there was a message from Vanessa who had chosen my jam tart recipe over all the others she'd googled and it just wasn't living up to her expectations.The mixture, she wrote, was too sticky. Now it was also going to be difficult to poke holes in them with the end of a wooden spoon for the jam filling. I hastily printed off the recipe ( which had come from a primary school cookbook). Although I'd made it once before and it had turned out well I wanted to make it again to test that I hadn't posted a dud. It is mid-autumn here. There was a chill in the air. And thankfully my dough turned out fine, not too sticky at all. I wrote back to Vanessa to say that the if the weather at her end was hot and sticky this may well have caused the problem, Put it in the fridge to cool down for a while, I suggested, and/or flour your hands lightly before rolling. I popped the jam tarts into the oven to bake.They took less time than the original recipe had stated. By this time I realised that I should have mentioned this when I wrote the original jam tart blog. But in my haste I had just posted the recipe as it appeared in the school recipe book. I began to have horrible visions of trays of charred tarts coming out of my readers' ovens. It was a wake-up call not to rush my blogs and to always note any changes I make to the recipe which I have now done. So can food bloggers be trusted to get it right? I'm sure I am one of many creative culinary spirits. I'll bake a recipe once (or few times) and then if it comes out well, and tastes really good I'll post it. If not I won't make it again. I'm keen to make something new. Maybe it's better to post less often and really perfect it over several months to make it foolproof . Or would that reduce the sense of spontaneity and excitement that bloggers communicate as they try out and post a new recipe ? In comparison cookbook authors, one imagines ,will have tested their recipes many more times, or have testers who try them out for them before publishing. But the reality is that not every one of their recipes is perfect either. I've had my share of cookbook recipe failures and have had to twig them to get the desired result. Photographs can tell lies as well. I'm an amateur but my family has been heard to say that some of my recipes looked better on the blog than on their dinner plates. Professional photographers who have expensive cameras and lighting set ups and probably years of experience can make a humble dish look like a food fit for the gods, and it may not taste superb! Feeling a little depressed that I'd failed one of my blog readers I dropped into our local Lakeside Arts Centre this morning to deliver morning tea for 30 wood sculptors and volunteers busy with the annual woodcarving event. They loved my baking, especially my best chocolate cake which also came from a community cookbook and was reprinted with their permission. And one of the guys even asked for my biscuit recipe. 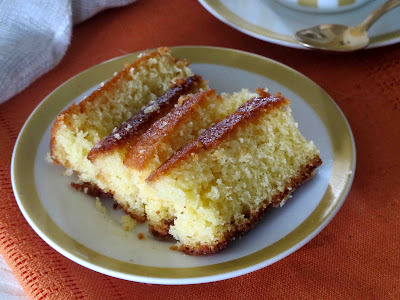 But there seemed to be quite a lot of apricot and orange drizzle cake left on the table, a recipe which I had created especially for this event the previous day and it had tasted good to me. I'm thinking now I should have perfected it further before baking it for a morning tea or putting it on my blog. Or was it just that most of the sculptors were guys and they preferred the chocolate cake and crunchy oat cookies? Blog readers can easily leave a comment under each recipe. I love the positive and appreciative ones. This was the first one which queried whether I had got it right. And that's good too. I do hope people who try my recipes and find there's a problem will leave a comment. The whole idea of a blog surely is that we can keep in touch with and learn from each other as we share our recipes . I do hope Vanessa hasn't given up on those jam tarts. We had them for breakfast today and they sure beat weetbix! The reason this cake came into being was out of sheer desperation. I was in the process of making an orange drizzle cake and it needed finely grated orange rind. But my orange skin proved to be ungrateable although on the surface it looked perfectly normal , and was sweet and juicy. I bought it at our local supermarket and have been left wondering...is there a new mutant variety? Well to cut a long story short I gave up on my original recipe and flavoured the cake instead with some Barker's Apricot Blush, ground almonds and a few drops of almond essence. After baking it I drizzled it with a mixture of orange juice and sugar. Line a 22" square cake tin with baking paper. Beat in the flour, baking powder and eggs until combined. Mix in the ground almonds and almond essence. While the cake is baking heat the sugar and orange juice together in a small saucepan until the sugar is dissolved. Bake for about 35-40 minutes until the cake is golden and tests done. Prick holes in the cake with a skewer and pour the syrup all over the cake. Leave it to soak in and let the cake cool in the tin before turning it out. ps Since then I have had some good advice from my old friend Max in Switzerland who assures me that Aunt Daisy, bless her heart, refrigerated her oranges for half an hour to make them easier to grate. This easy sultana loaf recipe had stood the test of time. But I couldn't resist a make-over so I soaked the fruit in some Barker's Apricot Blush .This juice is flavoured with apricots, pineapple, lime and a touch of New Zealand blackcurrent juice. It really enhanced the flavour. In my original recipe it was baked in one 22 cm loaf tin. But I decided to use two smaller tins15cm by 8 cm.This made one to eat, and one to freeze or give away. It is important to leave the loaves in the tins to cool for a while before turning them out.Wait until they are cold before slicing.They cut more easily the following day if you can wait that long. Great as is for morning or afternoon tea, or tucked into in lunch boxes, but they can also be served buttered. I rather like a slice or two with cheese! Bring butter, sultanas, mixed spice/almond essence, baking soda, sugar and water to the boil and simmer gently for 5-10 minutes. When cool add eggs, then flour and baking powder. Lightly grease the loaf tins with cooking oil and line with baking paper. Bake the loaves for 40 minutes at 180 degrees C. Poke a skewer into the centre of the loaves to check if they are done. They may take a little longer. Towards the end watch carefully and if the tops start to brown too much cover them with tinfoil to prevent burning. Jellies for Grownups? No not those wobbly overly sweet treats we loved when we were kids.These jellies are elegant, laced with a little alcohol and deliciously flavoured with Barker's Crushed New Zealand Apricot Blush with Pineapple and Lime. At Barker's they crush Central Otago apricots and blend them with tropical pineapple and refreshing lime . Then they add a touch of New Zealand squeezed blackcurrent juice to create their bottled Blush. I have used leaf gelatine for these jellies. Jellies will look clearer and have a purer flavour when made with these. One gelatine leaf is usually enough to set 100 ml. But different brands and grades of leaf gelatine can vary in strength. Check the instructions on the packet before making your jelly. One tablespoon of powdered gelatine can generally be substituted for 4 leaves. Jellies were hugely popular in the Victorian Era. They were set in decorative copper molds and alcohol was often added. I think it's time for a jelly revival as they are not only delicious but fat free. But don't let the kids share these. Make non alcoholic jellies for them using a good old packet of fruit flavoured Gregg's jellly. Put the water and wine into a heatproof bowl. Cut the gelatine leaves into pieces and add. Leave them to soften in the liquid for about 10 minutes. Heat the mixture in a heatproof bowl over a small saucepan of simmering water, stirring until the gelatine has completely melted. This will take a few minutes. It should not reach boiling point. Take off the heat and add the Barker's Apricot Blush. Let the jelly cool down for a few minutes. Optional: Add a sprinkling of grated dark chocolate (or chocolate curls) and whipped cream. 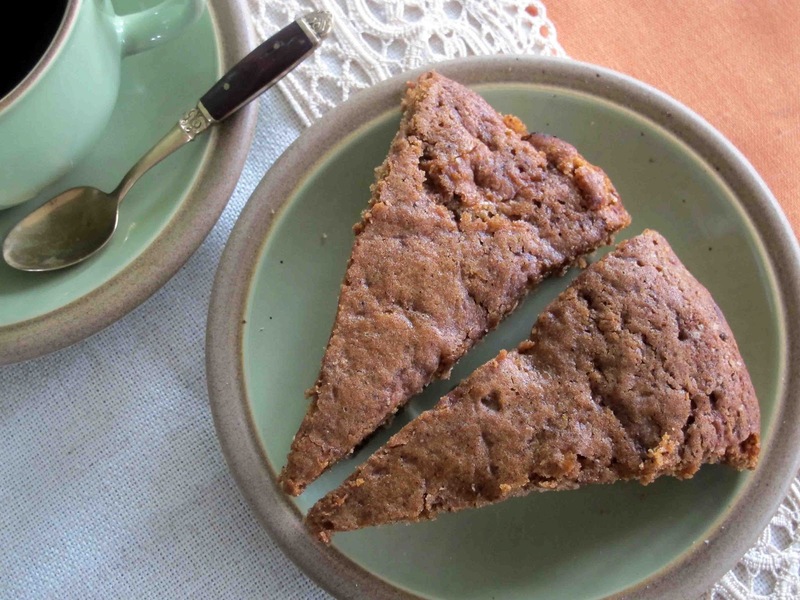 Here is my friend Gill's recipe for a spiced Feijoa cake, nice to have with a cup of coffee. And should there be any leftovers it's a good keeper. 5 Pour into a lined and greased 22cm or 24cm round tin and bake at 180°C for about 40 minutes, until a test skewer comes out clean. Cool a little before removing from the tin. I loved wandering along the morning vegetable market in Luang Prabang. I spotted sugar cane, turmeric, small shallots, cherry tomatoes, limes and some tiny cauliflowers. Herbs such as mint,basil and coriander as well as chillies were plentiful as they are such a big part of the diet here.There were all sorts of packages with spices and teas, including the sheets of crispy Mekong River weed which we had sampled at Tamarind restaurant. 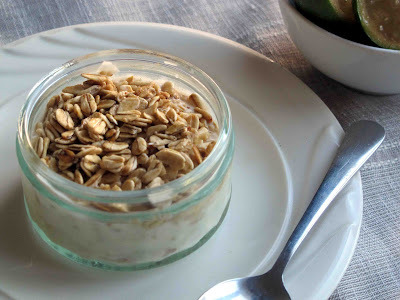 Although this recipe tastes creamy and sweet it is relatively low in fat as it uses quark cheese. Such a good way to start the day now that the fijoa season is on the way. Gently stir all the ingredients together. Spoon into 2 small ramekins. Sprinkle some home made muesli/honey roasted rolled oats on top. Having just come back from Cambodia, Laos and Vietnam I have loved sampling the food, the new ingredients and flavours. Inspired by this journey, and the feijoas which have just come into season locally and which my lovely neighbours Gill and David have been bringing over, here is a fresh fruity relish. It's a combination of a vietnamese dipping sauce and fresh fruit. Nice to have alongside ham/cheese filled baguette and a small salad composed of lettuce, mint and thai basil.Or alongside some grilled fish. 1/2 cup each of finely chopped feijoa flesh, fresh pineapple, papaya. 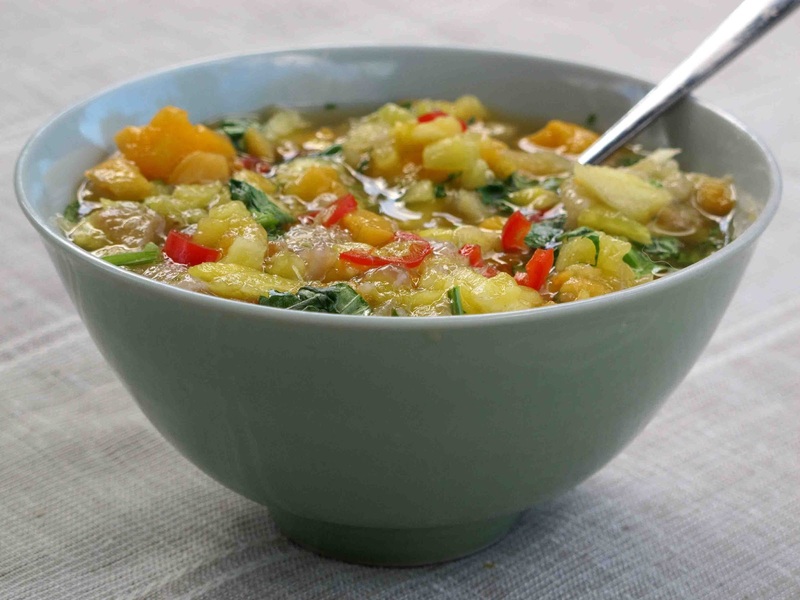 Mix the fruit and sauce together and enjoy! These ingredients are flexible. Adjust the quantities to your own taste. Place the feijoas, butter, sugar, pineapple juice, water and vanilla and golden syrup in a saucepan and bring to the boil. Simmer for 5 minutes and then leave to cool. Sift the selfraising flour and ginger into a bowl and make a well in the centre. Pour the fijoa mixture in and stir gently with a wooden spoon.Don't overmix. Bake at 180 degrees C for about 45 minutes until golden and the loaf tests done. 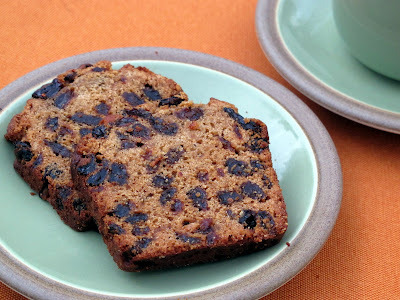 To make a more gingery loaf you could add a couple of tablespoons of chopped crystalised ginger. The humble feijoa can be used in so many different ways. This gingery feijoa cake with a coconutty crumble topping is great warm for dessert or can also be served cold for afternoon tea with a dollop of thick Greek yoghurt or whipped cream. 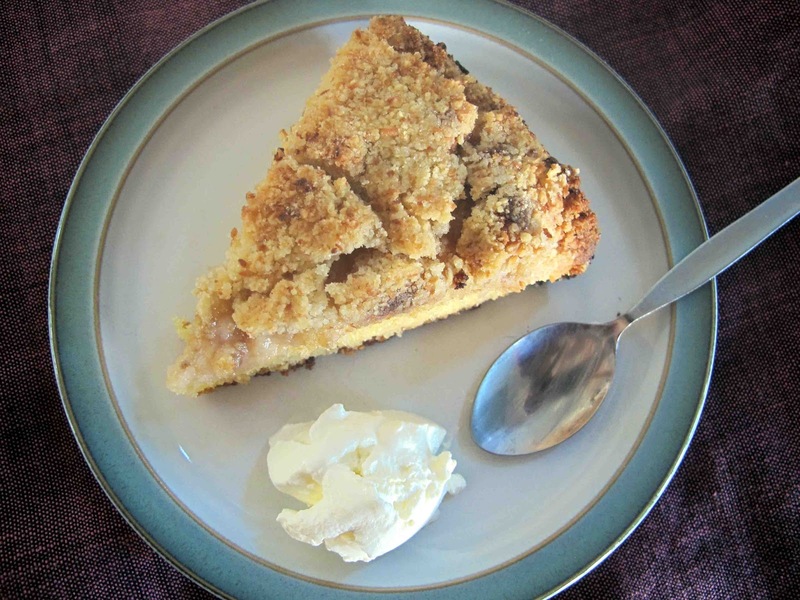 Use feijoas which are ripe and sweet for this recipe. Mine were freshly gathered from under their feijoa bush by my very good neighbour Gill . They tasted delicious scooped out of their skins and eaten raw but there were so many I couldn't resist creating this recipe. Scoop the feijoa flesh out with a teaspoon. Chop roughly, add the crystalised ginger and let sit to let their flavours mingle while you mix the cake. Rub the butter into the flour until it turns into a crumbly mixture. Then stir in the sugar and dessicated coconut. 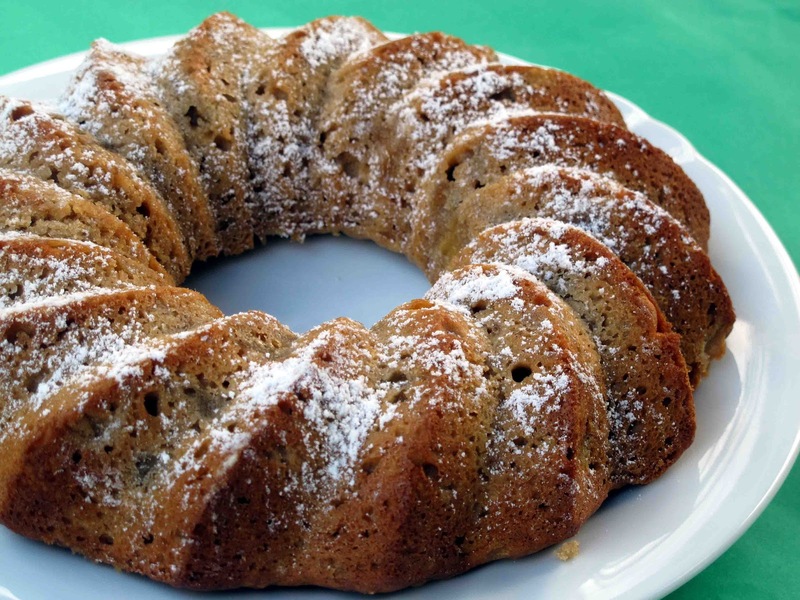 Spread the cake batter into a bakign paper lined 24 cm cake tin. Bake for one hou rin a 180 degree C oven. Let it cool for a quarter of an hour before turnign it out. Serve it warm for dessert or leave to cool and have for afternoon tea with a large dollop of cream or thick yoghurt.